CardioSleeve is a product that is developed by a medical health startup in the US. 2M has supported Rijuven in a number of projects with signal processing capabilities, both embedded and server based algorithms. CardioSleeve is the first FDA cleared stethoscope add-on device for clinicians to acquire 3-Lead ECG and Digital Heart Sound at any point of care. 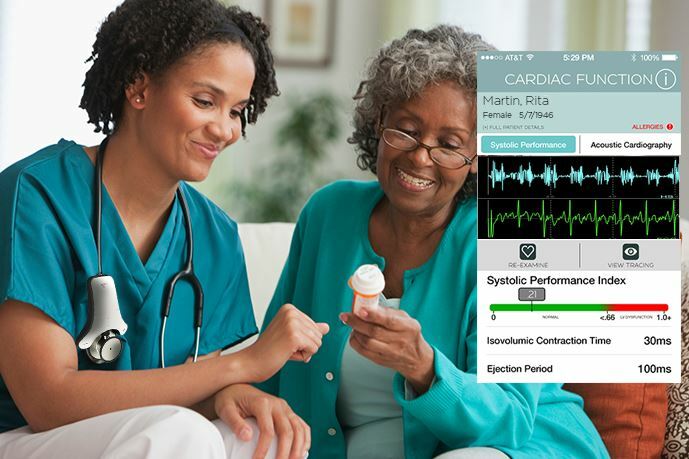 CardioSleeve enhances the traditional stethoscope by recording, displaying and analyzing the heart’s ECG and acoustical footprints, synchronized, in real time via any wirelessly connected portable device. 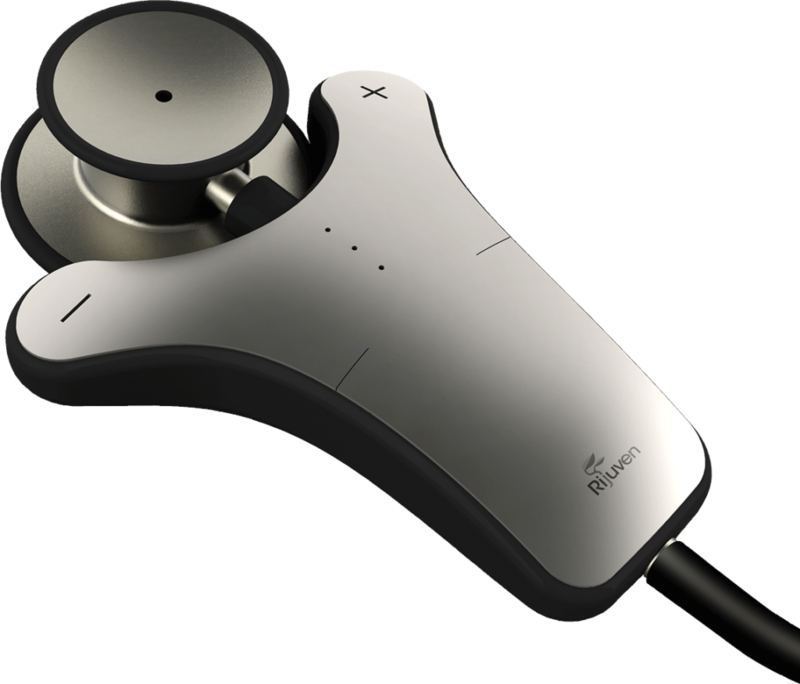 The ability to view ECG and auscultation tracings in real time, and record them, expand a clinicians capabilities beyond the limitations of the traditional stethoscope. Instant cloud analysis and reporting apply the best in medical algorithms to both the ECG and audio tracings. Detect cases of murmur or arrhythmia instantly. CardioSleeve calculates the systolic performance index as an indication of ejection fraction, assessing heart failure in 15 seconds at the mitral location. 2M supported Rijuven in a number of projects with various signal processing algoritms for their CardioSleeve product including heart sound analysis, murmur detection and fall detection. Besides the more product development oriented questions 2M received we also looked at technical feasibility of certain features by making test setups and performing tests with a small number of subjects to prove validity before moving towards development.